WOW What a great party!! We had 10 boys in attendance. Our Firefighters from Engine 16 were able to join us; just as they were settling in, they received a call and had to leave. But we also had 4 Green Beret from the Army join us. They were SFC Edward J. Prescott, SSG Tyler A. Irwin, SFC Horne A. Cory and SSG William R. Musil. They entertained the boys with party favors, and their gear. The boys and girls joined in that fun. Please see pictures for the full enjoyment had by all. 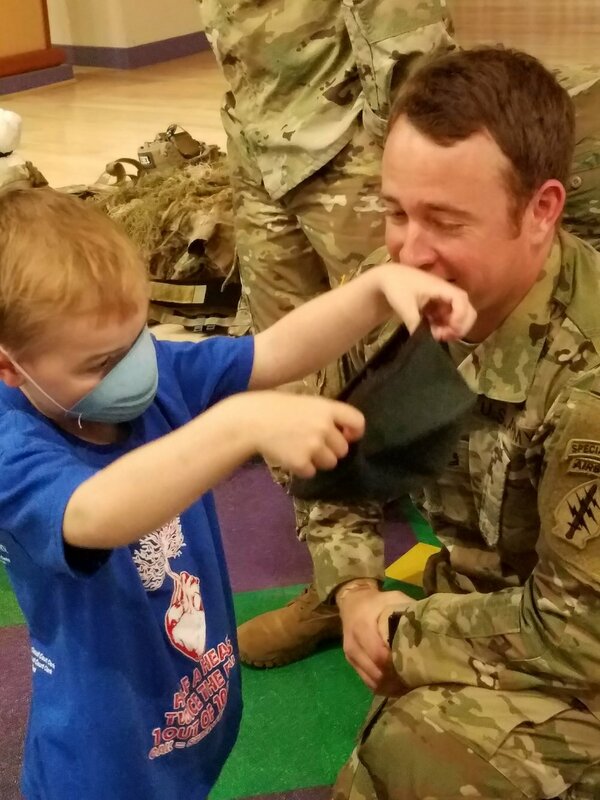 Huge thank you to those guys for your time, the gifts that you brought to hand out to these children, and your service to our country. The Tutu Ladies were busy putting smiles on girls and boys faces with their handiwork with tutus, capes, and mask selections. I do believe they only left with one tutu. 23 little girls were greeted by special guest Princess Ariel compliments of The Wishes Foundation. 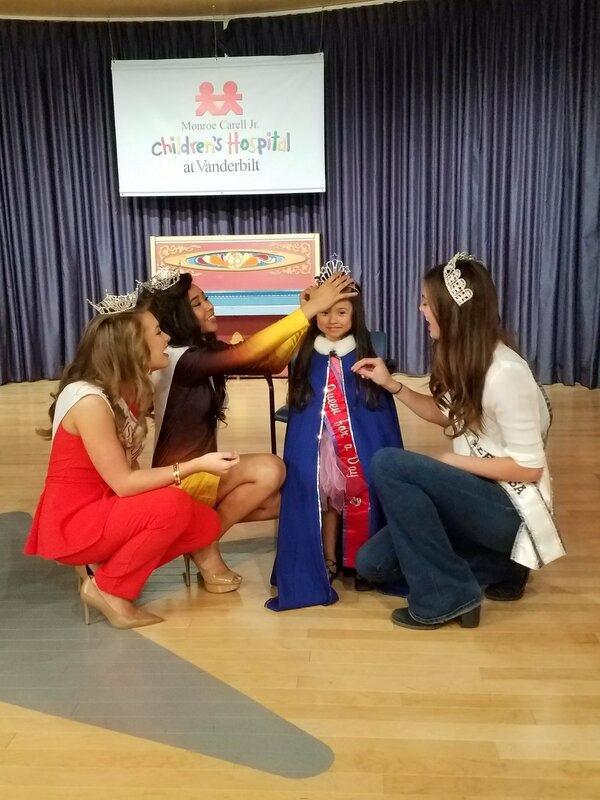 So sweet to see their faces when they see these Princesses in attendance. 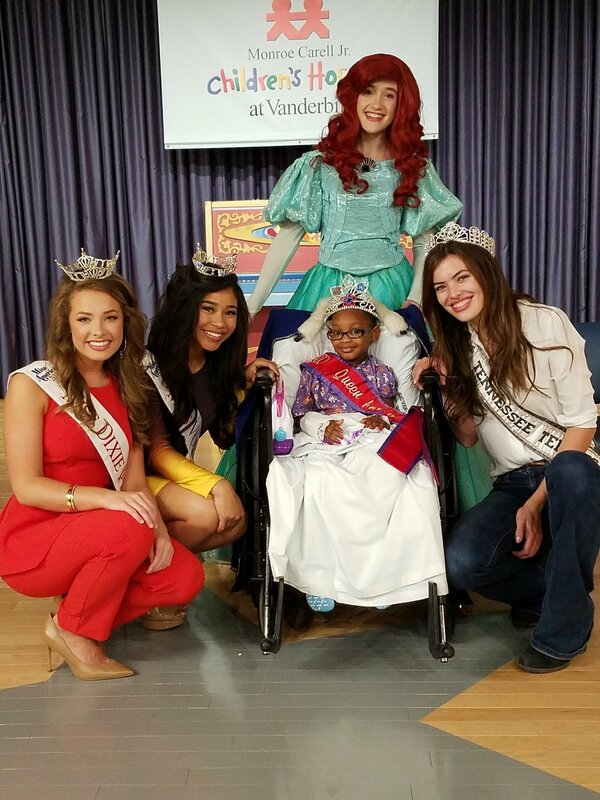 Also, we had Sofie Grace Rovenstine, Miss TN Teen USA, Elise Stein, Miss Volunteer, and Lauren Dickson, Miss Dixie PAC, busy with painting nails and lips, and picking out the perfect crowns. Also, want to state we had 31 parents in attendance as well at this party. I do believe one of the largest turnouts we have had. We do know that fun was had by all. We also were able to send 4 goodie bags with party favors, lip stick, nail polish, and a crown for those ones that were unable to attend the event. Delaney Henry was able to join us in painting these sweet faces and not real sure who was entertained more - us or the kids. Of course, several stole our hearts once again, but for me, one little girl stood out. Her sweet smile and excitement over all the events were overwhelming; she never stopped smiling and would hug everyone over and over. Again, A HUGE thank you to all the volunteers that devote their precious time to put huge smiles on these precious children faces if only for an hour. The memories made in that hour will last a lifetime. Can’t wait for our next party in June!! Older PostAnnouncement: CenterState Bank as headline sponsor & first hospital date set!